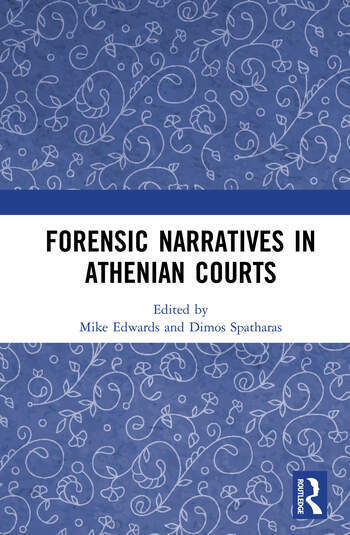 Forensic Narratives in Athenian Courts breaks new ground by exploring different aspects of forensic storytelling in Athenian legal speeches and the ways in which forensic narratives reflect normative concerns and legal issues. The chapters, written by distinguished experts in Athenian oratory and society, explore the importance of narratives for the arguments of relatively under-discussed orators such as Isaeus and Apollodorus. They employ new methods to investigate issues such as speeches’ deceptiveness or the appraisals which constitute the emotion scripts that speakers put together. This volume not only addresses a gap in the field of Athenian oratory, but also encourages comparative approaches to forensic narratives and fiction, and fresh investigations of the implications of forensic storytelling for other literary genres. Forensic Narratives in Athenian Courts will be an invaluable resource to students and researchers of Athenian oratory and their legal system, as well as those working on Greek society and literature more broadly. Dimos Spatharas teaches Classics at the University of Crete. He is the editor of a commentary on Isocrates’ Against Lochites and he recently co-edited (with Donald Lateiner) a volume on the Ancient Emotion of Disgust (2017). He is the author of several articles on the Attic orators, the Sophists, and ancient emotions. He is co-editor of the series Trends in Classics-Ancient Emotions.